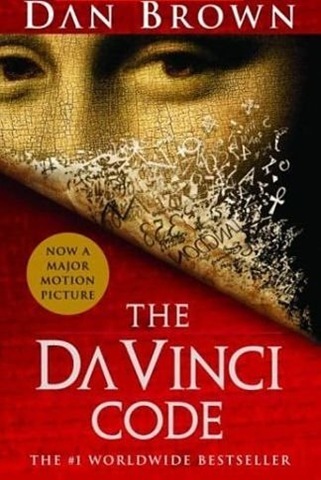 Da Vinci Code: Book review by Karthika P.
many codes in his paintings. and that their bloodline exists to this century. Briscoe, John and Malik, R P S., Ed. Hamalian, Leo and Volpe, Edmond, L., Ed. Samsung’s announcement that it plans to release an e-book reader called Papyrus means it is at least the seventh company to hop on the digital-book bandwagon. With touchscreen capability and an e-ink screen, the Papyrus will cost just $300, Samsung says, making it even cheaper than the Sony Reader and the Amazon Kindle. Papyrus, when it becomes available, will join an increasingly crowded field that includes the Kindle, Sony Reader, Fujitsu FLEPia, Hanlin eReader, Foxit eSlick Reader and the yet-to-be-released Plastic Logic reader. All of them are based on low-power electronic displays made by Cambridge, Massachusetts, company E Ink. The Papyrus launch is still a few months away. Samsung is first expected to make Papyrus available in Korea this summer, says the Pocket-Lint website, with a later launch date in the United States and Britain. The device will come with a stylus for the touch screen, 512 MB of memory but no SD card slot, says Pocket-Lint. The most successful e-book reader to date, the first version of the Amazon Kindle launched in November 2007 and sold an estimated 500,000 units by the end of 2008. The Kindle got a makeover in February 2009 with a new sleeker, slimmer device that sports iPod-like curves and a metal back. The Kindle 2 has a 6-inch display but no touchscreen. It comes with 2-GB memory that can store about 1,500 books. Other features include text-to-speech for books to be read aloud, and a basic web browser. Kindle supports text, images, mp3, doc and HTML formats. Transfer of PDF files to Kindle costs an additional 10 cents per file. WIRED Good-looking design is easy on the eyes. The wireless connectivity, provided by Sprint in the U.S., makes downloading books easy — no syncing with your PC required. Amazon’s retail clout ensures a wide selection of books, blogs and periodicals. TIRED Some users have complained about the low-contrast text. The book content is shackled by DRM that makes it impossible to use on any other device you own, unless you use Amazon’s Kindle application. Will display PDF files, but Amazon charges a conversion fee of 10 cents per file. No touchscreen, and keyboard-based typing can be tedious. Available in one color only. Wired.com product review of Amazon Kindle 2. The Sony Reader was one of the earliest e-book readers, with the first version launched almost a year before Amazon Kindle 1.0 was released. So far, Sony has three versions of the Reader including one touchscreen-based model and two with keyboards. The latest model, the Sony Reader PRS 700-BC, comes with a touchscreen and a 6-inch display. It offers 512 MB standard storage that supports about 350 books with scope for expansion using memory cards. WIRED Sleek, attractive design. Choice of colors including silver, black and red. No extra charge to access or convert PDF files. Partnership with Google gives users access to about 500,000 public titles from Google Books. TIRED No wireless connectivity requires users to be tethered to their computers to download a new book. The proprietary software used to download books from the Sony store is clunky. No browser available. iRex Technologies, a spinoff from Phillips, first launched its e-book reader in 2006 and now has a second generation version of the device. Larger than the Amazon Kindle or Sony Reader, the iLiad Book Edition has an 8.1-inch screen. And at 15.3 ounces it is also about 5 ounces heavier than its peers. But the iLiad has built in Wi-Fi capability with an option for external ethernet networking. It comes with 256 MB internal flash memory, of which 128 MB is accessible to the user, and supports text, PDF, images and HTML format. WIRED Wi-Fi capability and USB/ethernet connectivity makes it easy to download books. Allows users to add notes and sketches to existing documents. Runs a Linux operating system that allows third-party applications to be created and run on the iLiad. TIRED More expensive than the Kindle and the Sony Reader. Access to pulp fiction and best-sellers is limited, as the iLiad cannot download files from the Sony or Amazon book stores — for commercial books, it only supports Mobipocket files. The Fujitsu FLEPia is the first e-book reader to sport a color e-ink screen. It has an 8-inch display capable of showing up to 60,000 colors in high definition. And yet the battery life can extend up to 40 hours, says the company. Even better, it comes with Bluetooth and Wi-Fi support. Other features include storage via a 4-GB SD card, touchscreen and a stylus. Right now the FLEPia is on sale only in Japan, with shipping scheduled to begi April 20. Japanese FLEPia users can purchase e-books from the largest e-book online retailer in the country, says the company. We hope it won’t be long before this device comes to the U.S. and British markets. WIRED Color screen. Wireless capability. Includes a browser and Windows Windows CE 5.0 (Japanese version) that allows email and use of Microsoft Word, Powerpoint and other Office applications. TIRED Super expensive! You probably need to get a third job to support your reading habit if this is your e-book reader. The e-book reader from Chinese company Tianjin Jinke Electronics was released in 2007. Featurewise there may not be much to differentiate it from its peers. It has all the basics: a 6-inch display, 32-MB SDRAM and support for the usual text, docs and images. It runs Linux OS but has no wireless capability. The Hanlin eReader is available under different brand names, such as BeBook in Netherlands. WIRED Runs a Linux-based operating system and offers an SDK so functionality can be extended. TIRED Zero points for looks. No wireless capability to download books. Not clear how compatible it is with the Amazon or Sony e-book stores. Foxit’s eSlick’s price tag is probably the best thing going for it right now. The device offers features similar to the Kindle and the Sony Reader. But at 6.4 ounces, eSlick is among the lightest readers on the market and comes with internal memory of 128 MB and a 2-GB SD card, and the standard 6-inch screen. Price: $260 promotional price. Shipping starts April 10. WIRED Excellent PDF support — to be expected from a company that has its roots in PDF software development. Built-in MP3 player. Low price. TIRED Yet another e-reader! Doesn’t support popular e-book formats. Requires USB connection to your PC to download new titles. Probably the most distinct of all the e-readers, Plastic Logic is closer to a digital tabloid than a Danielle Steel paperback in its looks. The reader is expected to measure 8.5 by 11 inches. It will be thinner than a pad of paper, but better than many of the electronic readers available currently, claims the company. The Plastic Logic reader will support Microsoft Word, Excel, Powerpoint, Adobe PDFs, newspapers, periodicals and books. It will have a gesture-based user interface and wireless capability, says the company. The catch? The device isn’t released yet. Price: Unknown. Trials are expected to begin in the second half of the year. The Manuals are holistic in their approach since they deal with not only physical health but also mental, social, emotional and spiritual well being. Their uniqueness lies in their participative and interactive approach. The activities mentioned can be easily incorporated in the classroom transaction, keeping in mind that hands on learning is internalized faster than conventional learning. It is also recommended that teachers may modify or customize the activities according to their social, cultural and demographic needs. The activities for teachers in each Section are suggestive and it is earnestly hoped that they will carry on the spirit of each section through curriculum plus intervention strategies within the school. The activities are learner centred and will help to empower them to construct knowledge for themselves in a classroom or out of the class setting. The graded activities provided in the manual follow outcome based approach to learning, teaching and assessment. They are positive in attitude and stress on developing health promoting habits from an early age which emphasizes the concept of learning throughout life. For the success of the school health programme it has to be developed and implemented by a strong indigenous group committed teachers under the guidance of the dynamic head of the organization as well as a committed management. A special feature of this development would be a cooperative, caring and concerned atmosphere which it is hoped will be the key note of the school learning environment while implementing the programme. The integration of school and community efforts should be related where the school is regarded as a social unit providing a focal point from which the school may reach out to the family, to the local community and to the community at large as a whole which in turn may support the efforts of the school. All the volumes are available in the Library. A resource site for teachers with curriculum ideas and technical tips. A collaborative effort of teachers from many countries. The Man Booker International Prize differs from the annual Man Booker Prize for Fiction in that it highlights one writer’s continued creativity, development and overall contribution to fiction on the world stage. It is awarded every two years. 14 authors from 12 different countries are contenders for the third Man Booker International Prize. Seven of the authors are writers in translation. The contenders were selected by a judging panel chaired by Jane Smiley, writer. 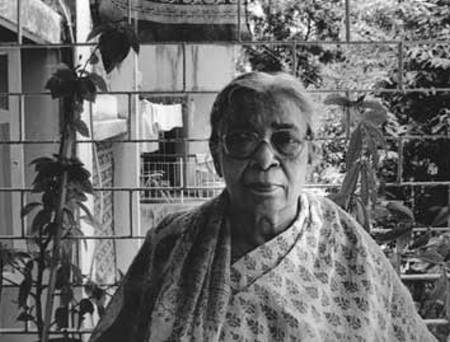 She was joined by Amit Chaudhuri, writer, academic and musician; and writer, film script writer and essayist, Andrey Kurkov. “Judging the Man Booker International Prize has made us all aware of how unusual and astonishing the literary world really is. We’ve all read books by authors we had never heard of before and they have turned out to be some of the best books we’ve ever read. I am thrilled with the list we have come up with. It makes me wonder who else is out there untranslated into English. Three of the contenders have previously won the annual Man Booker Prize for Fiction. Peter Carey won the Booker Prize twice – in 1988 (Oscar and Lucinda) and in 2001 (True History of the Kelly Gang). James Kelman won the Booker Prize in 1994 with How Late It Was, How Late. V.S Naipaul won the Booker Prize in 1971 with In A Free State. The winner of this year’s Man Booker International Prize will be announced in May 2009, and the winner will be presented with their award at a ceremony in Dublin on 25 June 2009. The prize is sponsored by Man Group plc, which also sponsors The Man Booker Prize for Fiction. 2. Which retailer recently paid $5.1 million for the Toys.com domain name? 4. Expand TTL, which tells a router if packet has been in the network too long and should be discarded. 5. Name Amazon’s self-publishing service wherein any US citizen can sign up for an account, upload and sell eBooks through Amazon. 6. Gutsy Gibbon, Hardy Heron and Jaunty Jackalope are codenamed for…? 9. The name of Bruce Artwick is linked with the first successful virtual reality software application. What was it? 5. Digital Text Platform (DTP). 6. 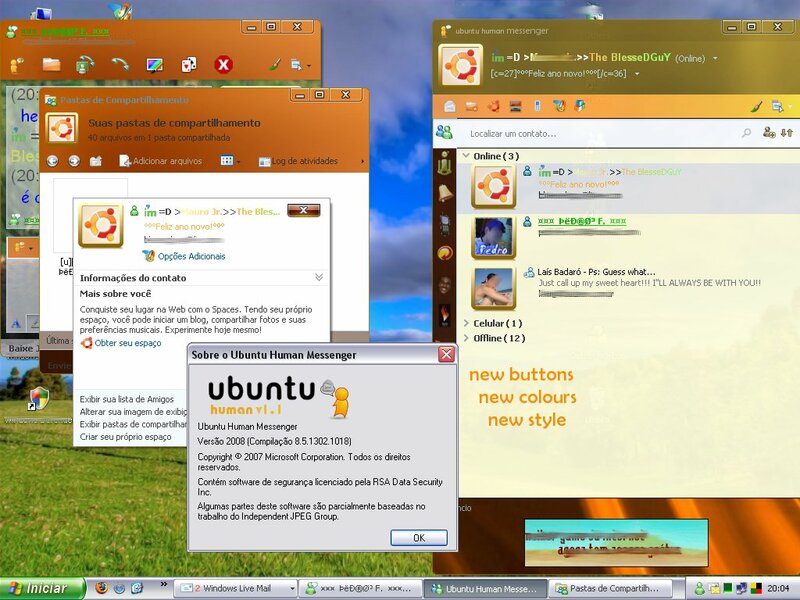 Ubuntu, the open source Debian-based Linux distribution. 7. A file object, usually a graphic image, which is embedded on a webpage/e-mail message to monitor user behaviour. 10. Irfan (of Irfanview fame). 1. The city of Chicago dyes its river green on this date every year to celebrate what? 2. Tamil Nadu recently got a new District which shares its name with a town therein known for its textile and hosiery products. Name it. 3. Name the countries connected by the Simplon Tunnel. 4. Who is the only person ever to be awarded the Nobel Peace Prize posthumously? 5. What five-lettered term is used for a mock attack in fencing or boxing? 6. Name the Pakistan batsman who was not out when Anil Kumble took all 10 wickets in a Test innings. 7. La Marcha Real is the National Anthem of which European country? 8. Which character’s address is ‘Apt 56B, Whitehaven Mansions, Sandhurst Sq, London’? 9. What does T9 stand for in the T9 Dictionary in mobile phones? 10. What natural creation’s shape can be Gum-footed, Horizontal Line or Triangle? 11. Fill in the blank with a type of animal: Albert was the ______ in space. 12. The ‘Bates method’ is an alternative therapy aimed at what? 13. Which colour bar in a barcode represents 0s? 14. Which circuit hosted the first Formula One GP? 15. James L. Plimpton is credited with patenting the forerunner of which of these : Bicycle, roller skate or motorcycle? A new social network has started for Kendriya Vidyalaya Librarians in India and abroad. This is a friendly meeting place for KV librarians to share their ideas, discuss thoughts and most importantly to build friendship. The members will get individual pages where they can add anything (photos, news, videos, etc.) that they would like to show the world.